Take a Peak District Christmas or New Year break. Visit stately homes dressed for the season and Christmas markets. Relax and get into that Christmas spirit. Both Byre Cottage and Hayloft Cottage are now booked for Christmas and New Year, however, both are still available for breaks before Christmas. Start days for the rest of the month are totally flexible and our minimum stay is 2 nights, however, so come and stay to make the most of all the seasonal events that the Peak District and Derbyshire have to offer. 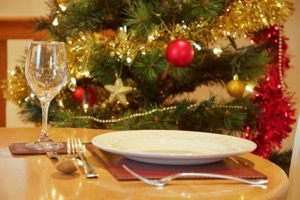 **SPECIAL OFFER** Book a short break in December before Christmas and we’ll throw in the champagne and mince pies. Please mention this offer when booking. 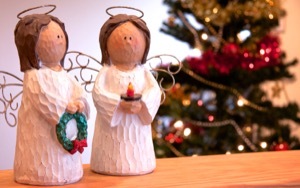 We decorate the cottages with Christmas decorations from early December to get you into that Christmassy spirit. Bakewell Christmas Market – (24th/25th November). There is also the Farmers Market on 22nd December which is sure to be a Christmassy one!